This article is a continuation of my other laundry articles: Simply Lovely Laundry and Laundry – The System. In those articles I explained that the root struggles of laundry in our household. Large families generate more laundry, but we had complicated our problem by having an excess of clothing and linens. To solve this problem I created a lists of clothing for our family and lists of linens, towels and other washables. By eliminating and limiting the amount of clothing we own I simplify the laundry. To manage dirty clothes we have hampers in dressing areas that are sorted into hampers in the laundry room before they are washed. We have five baskets, four tall ones and one small one. The tall baskets sort the laundry into whites, light colors, heavy/dark colors and towels. The small basket holds the kitchen towels. This makes it easy to keep the loads sorted and to see what needs washed “right now”. Even the little kids can handle this sort of sorting system. The machines: we invested in the most energy efficient and high capacity washer and dryer we could afford. Not a matching set, because we found that often one item of a set was rated far higher than they other, so they don’t match but after doing the research on the models available to us and within our budget we ended up with what we have. When we bought our first energy efficient washer I noticed a real drop in our electric bill. I think it paid for itself in less than two years. I am not going to recommend a particular brand here because by the time you read this something else will be better, but we have Whirlpool washer and Kenmore dryer. If you are in the market for replacing your washer or dryer do the research to find an energy efficient, quality machine. Each of our tall baskets hold about one and a half loads of laundry. To keep absolutely on top of the laundry I do two to three loads of laundry a day. At one point I would be behind if I wasn’t doing three loads a day. But I instituted some common sense practices that helped me greatly. Hang up bath towels after they are used. Towels used to dry off a clean body can in fact be used again. The same goes with the pool towel. As long as it is clean hang it up and let it dry, use it again. Here is the math. I put 10 bath towels in a load. If each person uses a bath towel one a day and we go swimming twice a week that is 63 towels a week and 6.5 loads of laundry. If each person hangs up their towel and uses it twice it cuts that in half. Change bedding all on the same day: I find it easier to have one, big, linen washing day then to have sheets dribbling in with the regular laundry. Rules for lovely daughters: You will not change your clothing three times a day not even twice. If you are playing dress up you will put your clothing back on when you are done. Yes, that means the same clothing you had on before. You will not eat, drink or do arts and crafts in your dress up clothing (exceptions may be made for tea parties). Rules for dashing sons: Please do not roll in mud, dirt or dirty leaves. Do not throw mud, dirt or anything else at your siblings. Do not hose down the dog in order to play “sprinkler” dog. I don’t care that you were playing farm and got to be the pig, the mud rule still applies. If you start getting hot bring your jacket or sweatshirt inside, please don’t leave it outdoors, drop it in the dirt or mud or put it on the dog. Rules for all children: If you dig through your drawer to find a favorite item put everything back, in no circumstances should you leave clothing on the floor. Hang up your bath towel and wash cloth. Wear an apron when cooking and a craft smock for painting. Use your napkin not your pants or shirt. Use a tissue not your sleeve. I follow the manufacture’s instructions with my front loader and use the recommended detergent. Some people don’t and their laundry comes out fine and their machines don’t appear to suffer. Some people swear by certain brands, some buy whatever is cheapest, some people go for the environmentally sounder option and some people I know make their own. I have no strong opinion on any of it. If it gets your clothing clean and doesn’t break the budget isn’t that really what matters? Hand wash: There is a surprising number of hand wash detergents. Perfume companies sometimes make laundry soap in your favorite scents. This is a big one for me this summer: Dryer vs. Clothes line. Living in the wet Northwest there really isn’t much of an option for hanging laundry outside from about October to May, but during the summer months we have enough good weather to make outside drying a possibility. If you check this calculator you can see how much it would save to dry clothes on the line. For me it is about $22 a month. Considering that line and two packs of pins will run you about $12 that isn’t a bad deal. My daughter Hannah loves the outdoor line. On sunny days we hang the clothes out and then forget about them for awhile. I have considered purchasing an umbrella line, but I haven’t cost proven it to myself yet. I really try to avoid ironing as much as possible. Kyle does a very good job with ironing his own clothes for work. 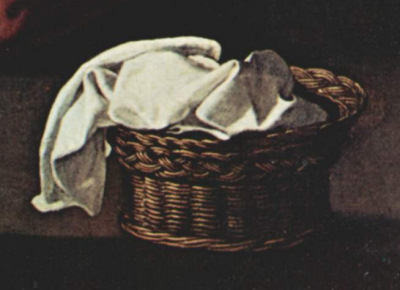 You are currently reading Laundry part three at Simply Catholic.